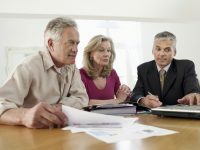 Pension plan sponsors lately have come to expect an increase in their bill for Pension Benefit Guaranty Corporation (PBGC) premiums as each new plan year begins, and 2019 is no different. “Reverse spinoff” transactions being considered by some retirement plans to avoid Pension Benefit Guaranty Corp. (PBGC) premiums “should be disregarded” by the agency, staff suggested in a recent web posting. The Pension Benefit Guaranty Corp. (PBGC) on July 25 launched a web page that compiles staff responses to questions from practitioners about Employee Retirement Income Savings Act (ERISA) Title IV requirements that may be of interest to other practitioners. The spotlight that the U.S. Department of Labor (DOL) has shined on fiduciary duties for retirement plans has heightened awareness among plan sponsors and their third-party administrators (TPAs). But the proposed rule hasn’t necessarily made some plan sponsors more willing to accept the responsibility of the role. DB plan sponsors should be aware that while the 2017 calendar year is behind us, they can still generally contribute for the 2017 plan year until September 15, 2108, assuming they operate on a calendar-year plan year. IRS Mandates Use of New Mortality Tables for 2018 … Unless You Don’t Want to! The Pension Benefit Guarantee Corporation (PBGC) in late 2017 launched another way for terminated defined contribution (DC) retirement plans to locate missing participants and make it more likely that they receive their benefits. The Pension Benefit Guaranty Corporation (PBGC) will pay retirement benefits for nearly 8,000 current and future retirees who participated in the Avaya, Inc. Pension Plan for Salaried Employees, according to a PBGC press release. The Pension Benefit Guaranty Corporation (PBGC) Fiscal Year 2017 Annual Report, released on November 16, shows that the deficit in its insurance program for multiemployer plans rose to $65.1 billion at the end of FY 2017, up from $58.8 billion a year earlier.